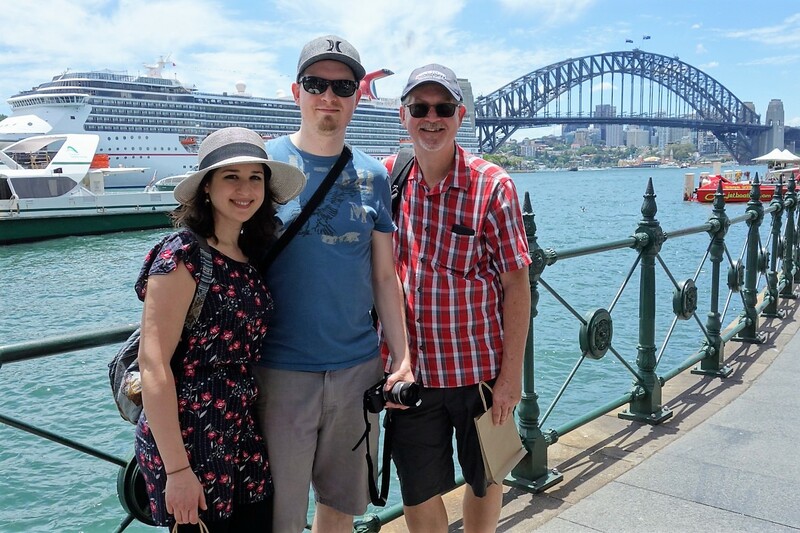 After a very long flight from Germany, our son, Micah, and his girlfriend, Aida, arrive in Australia to spend Christmas with us. What joy! 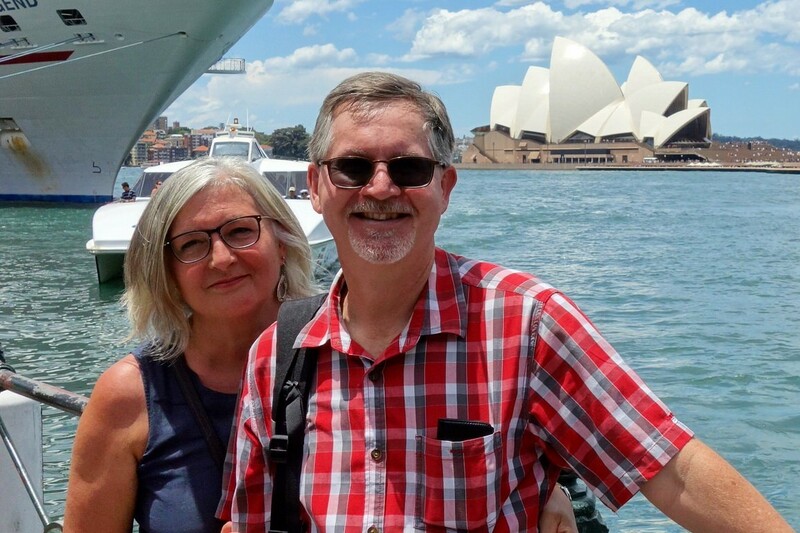 They fly into Sydney first and we are able to meet them there for a couple of shared days before we leave together for Brisbane. 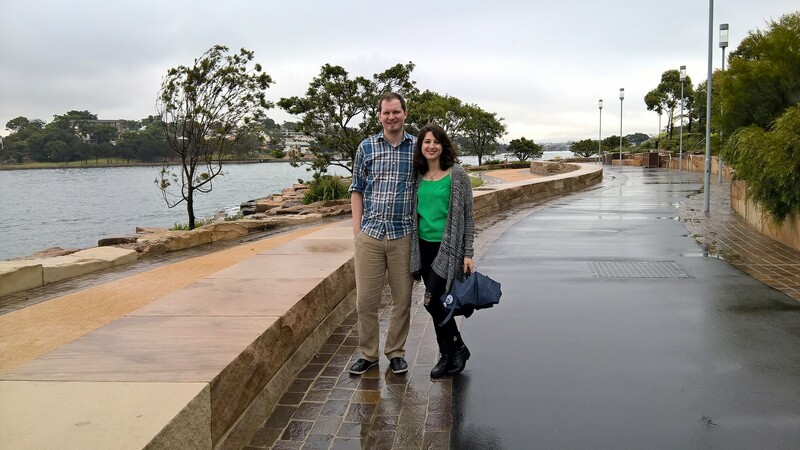 Although rainy, we still have fun exploring some areas that I haven’t seen before. 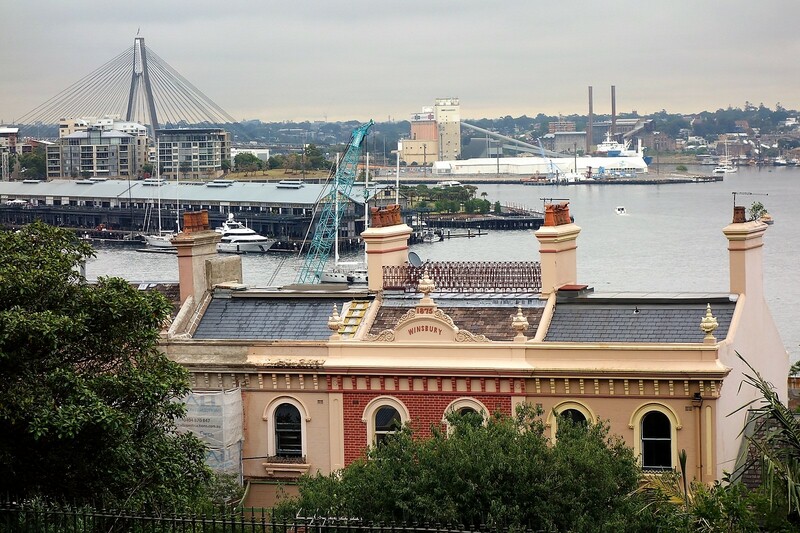 One of those was the Sydney Observatory on Observation Hill. 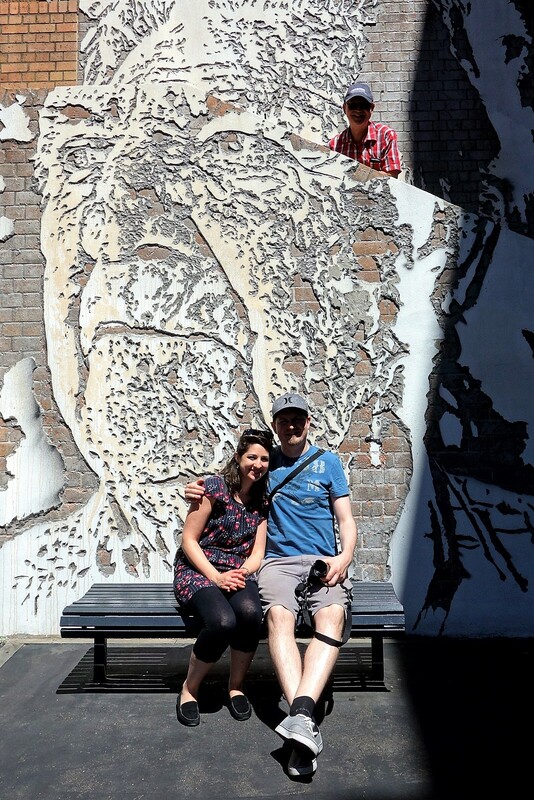 This was in an older area of Sydney so we also got a chance to check out some of the older architecture. 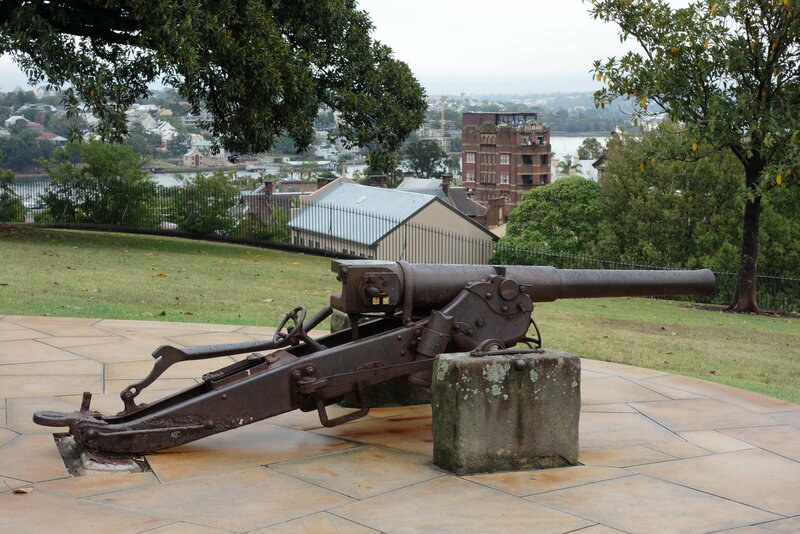 The Observatory is aptly situated on the highest point in Sydney – now called Observatory Hill. 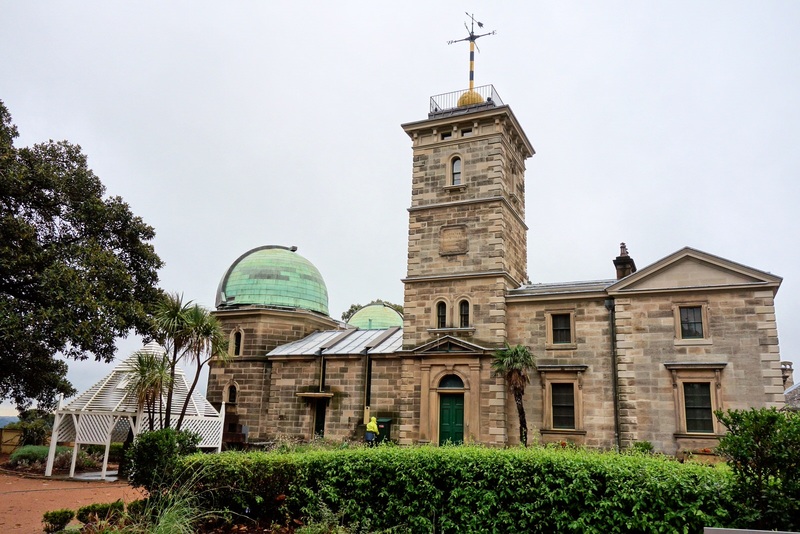 “The Observatory’s original function was to calculate correct time from the movement of the stars. 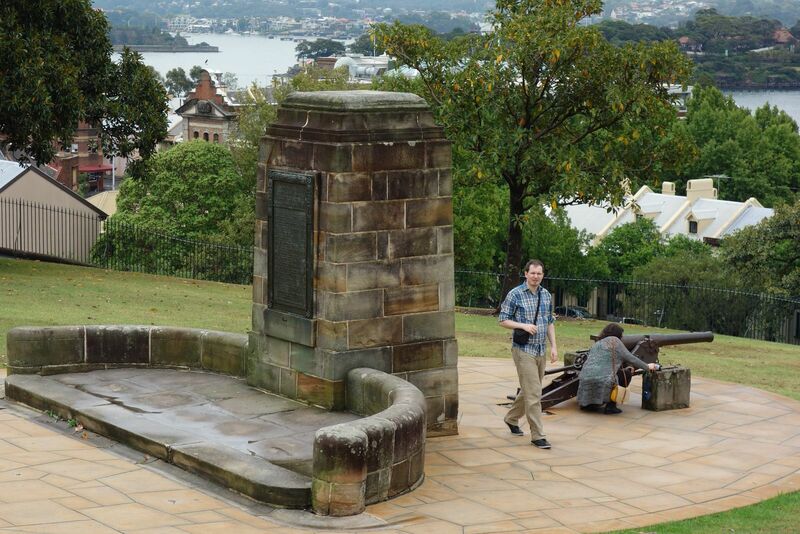 Before the observatory was built in 1858, Sydney had no accurate time standard. The time ball on top of the Observatory was dropped at exactly 1:00 pm daily. 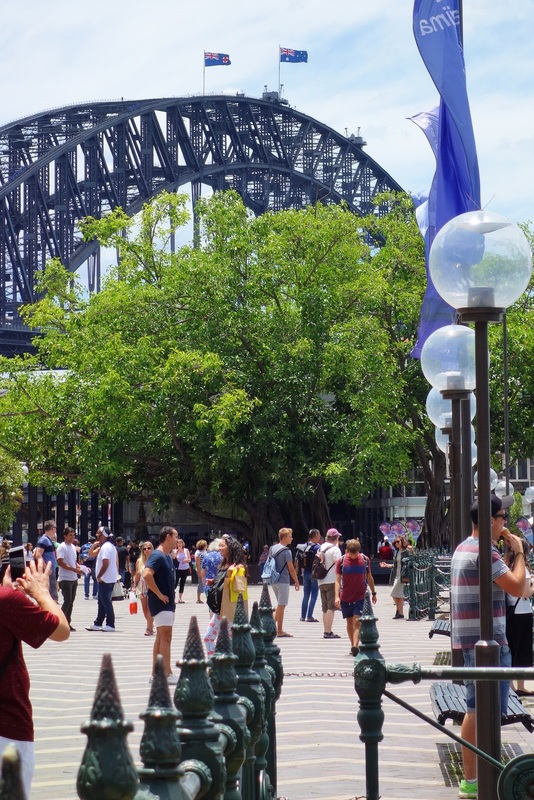 It kept time for Sydney and ships in Sydney harbour. As the ball dropped ship’s officers could check the running of their chronometers, the accurate clocks essential for navigation. The Observatory was built on the former site of Fort Philip. Fort Philip was built to defend the new settlement against possible attack by the French and also from rebellious convicts. Although the fort never really saw any action, you can see that it had a great vantage point for this function. 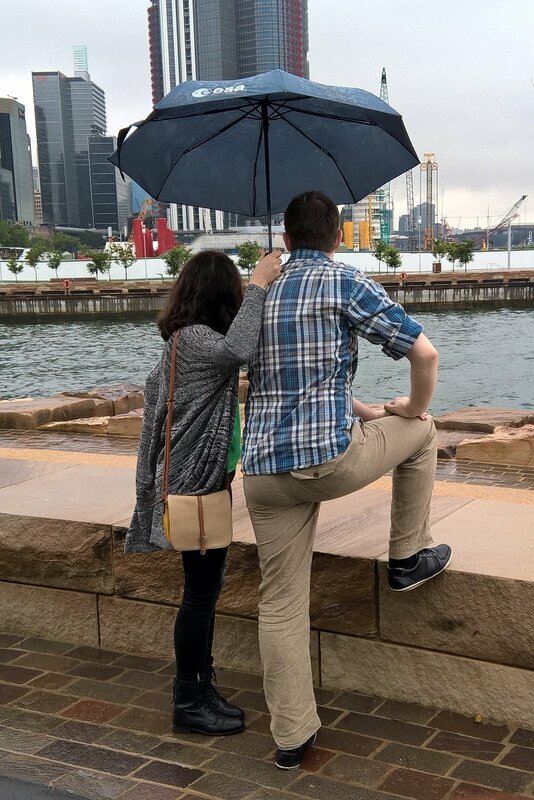 The views are great. 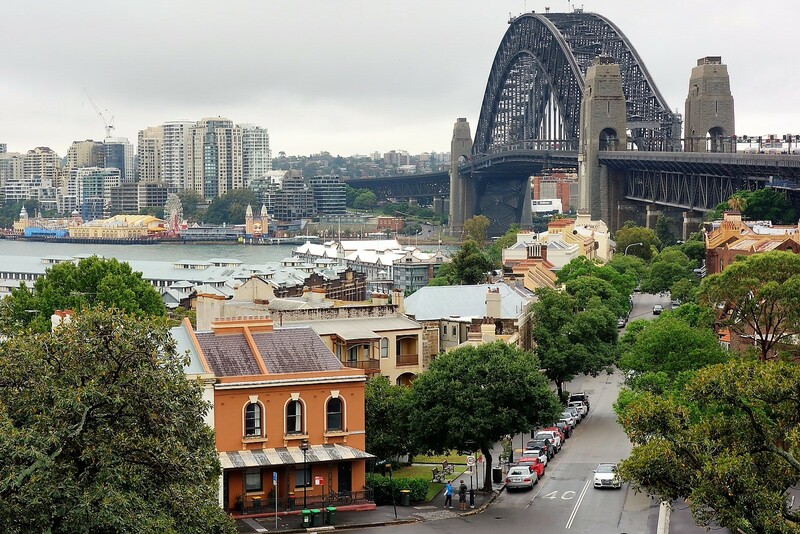 You can see the older rich architecture of Sydney’s early years and its evolution into modern times, all situated around the harbors. 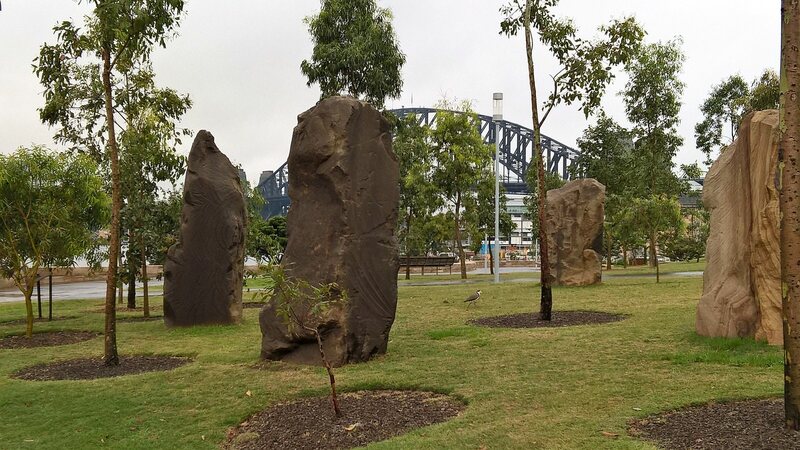 We are on our way to see the newly developed area of Barangaroo on Sydney’s harbor on the NW edge of the CBD. 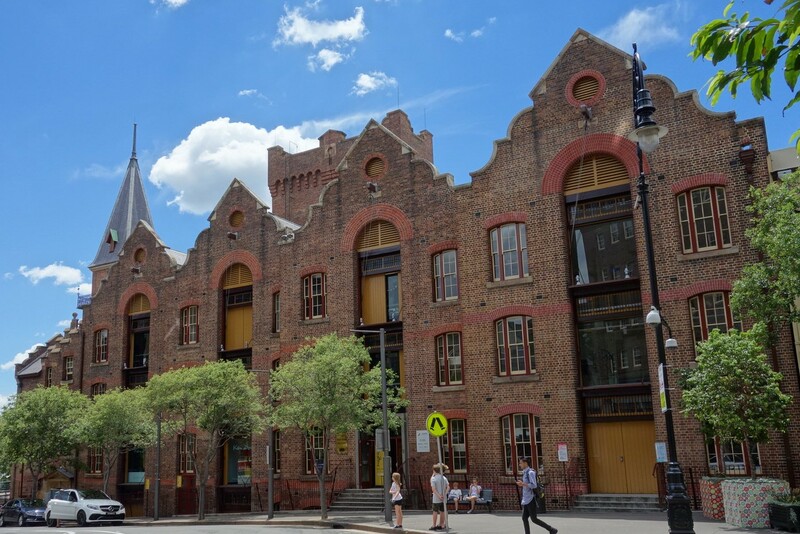 Leaving the Observatory, we walk by many historic buildings. 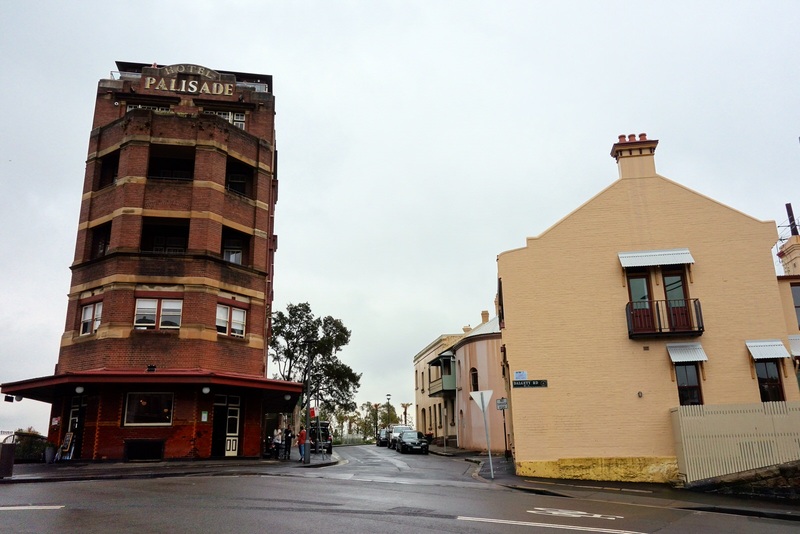 Hotel Palisade – No, the buildings are not leaning. It is a distortion from my wide angle lens. 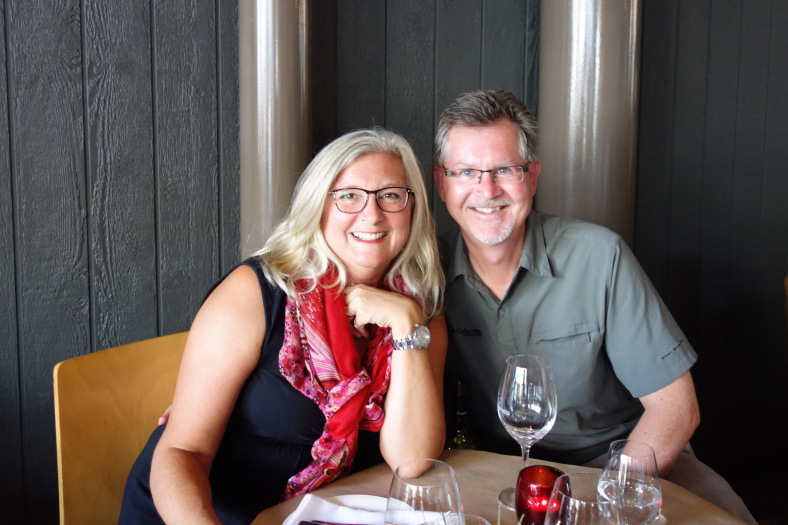 We were disappointed that we weren’t actually able to have drinks here due to Christmas crowds and reservations, but the Lord Nelson is an interesting place. 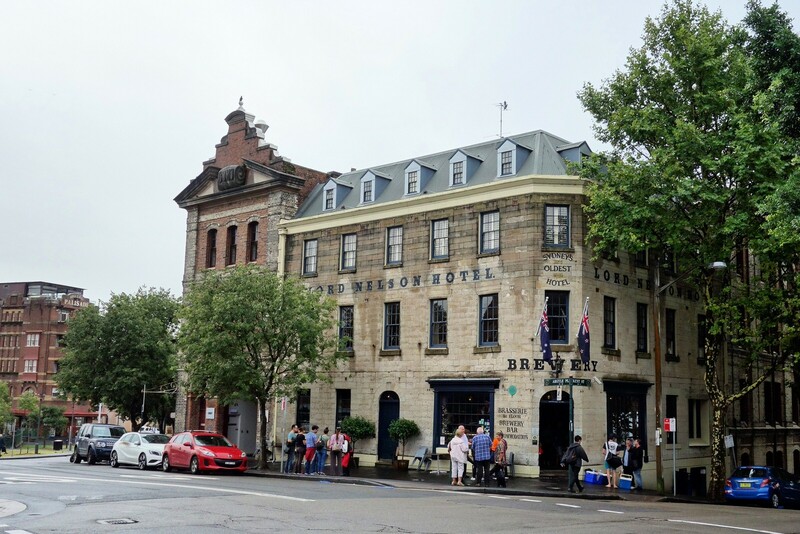 Located in the historic Rocks district, it is Sydney’s oldest continually licensed hotel (going back to 1831), and home of Australia’s oldest pub brewery. 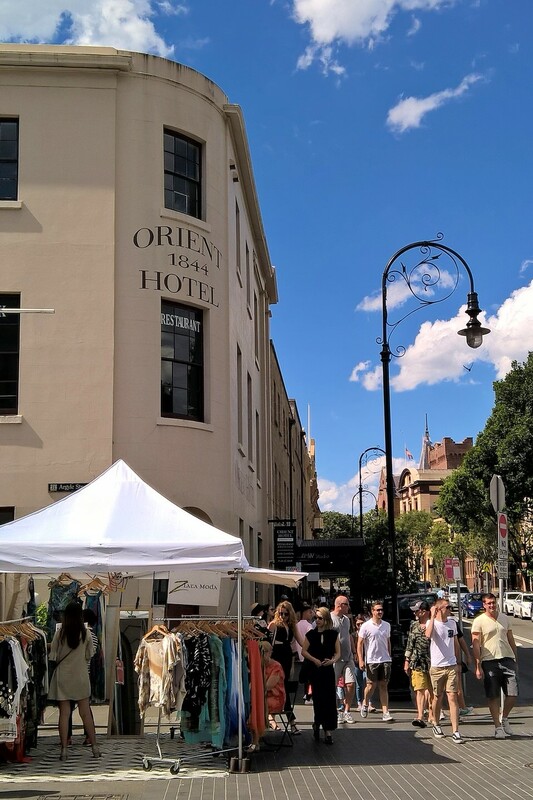 Located at Circular Quay and in site of the Sydney Opera House and Sydney Harbour Bridge, The Rocks is perhaps one of the most well known tourist destinations in Sydney. 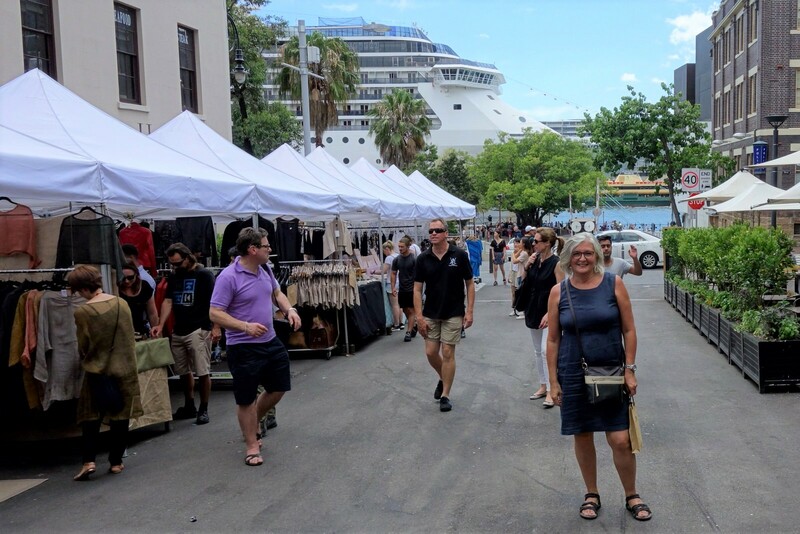 It is also the site of a large Saturday morning market, filled with artisanal stalls. At the time that we are there, we are able to see the debut of one of the four largest cruise ships in the world, Royal Caribbean’s Ovation of the Seas. Its many unique features includes iFly (an enclosed machine that lets you fly in the air), North Star (a capsule that takes you 300 ft into the air), Seaplex (basketball court/bumper car/roller skating), and so much more. 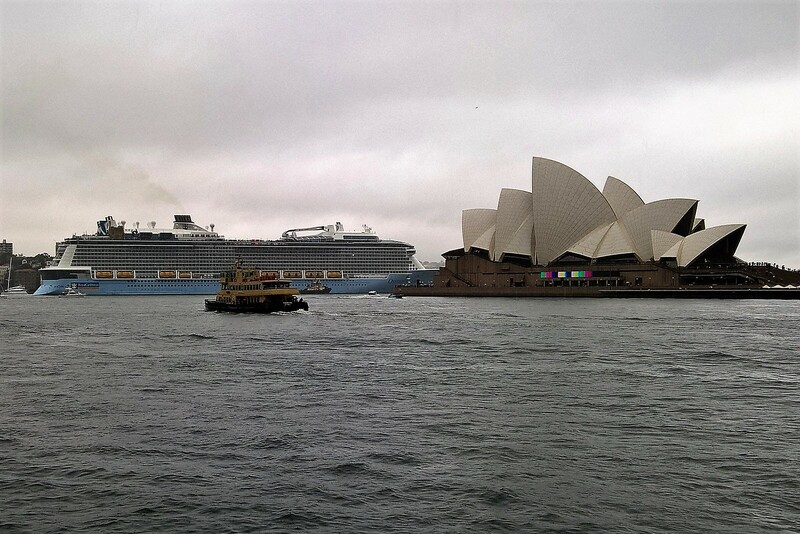 It was such a rainy day that we were unable to get good pictures, but here is one that shows you its immense size as it sails past the Opera House. 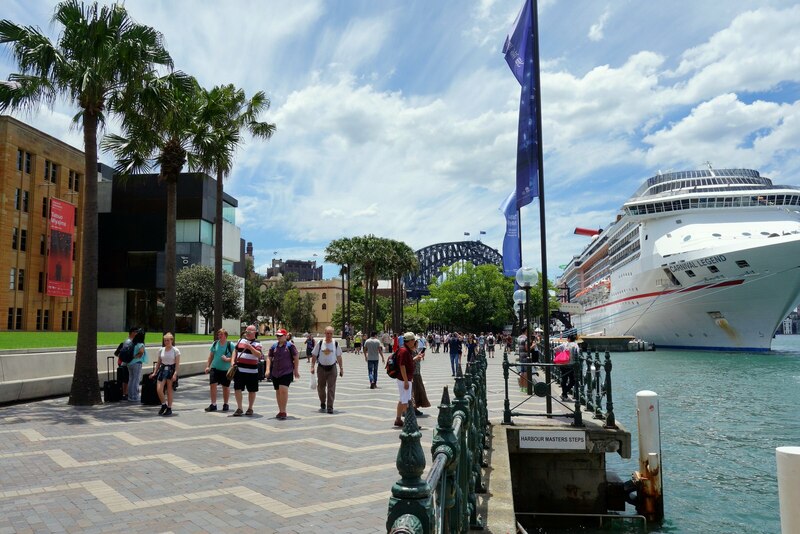 We manage to grab some sun on Saturday as we finish our time in Sydney at Circular Quay (pronounced “key” btw). The cruise ship shown in the background here is not the Ovation of the Sea! That left yesterday. 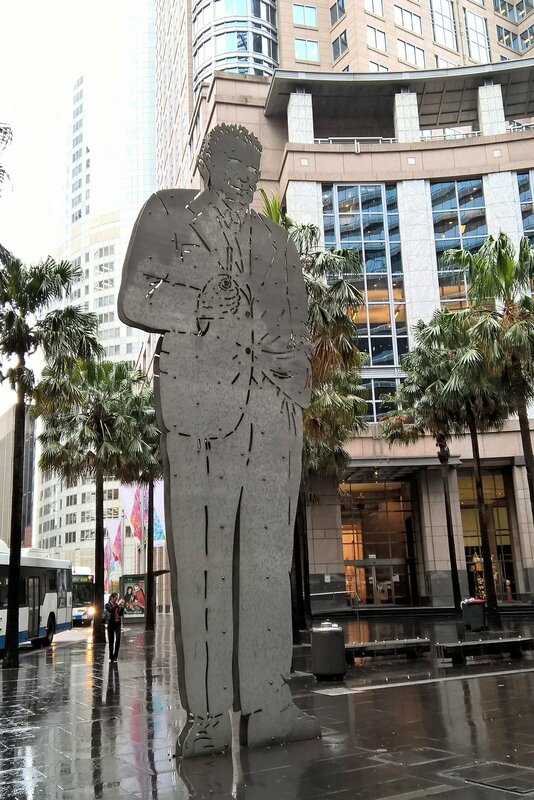 This entry was posted in Sydney and tagged Barangaroo, Circular Quay, Lord Nelson Brewery Hotel, Observatory Hill, Royal Caribbean Ovation of the Seas, Sydney Observatory, The Rocks. Bookmark the permalink.